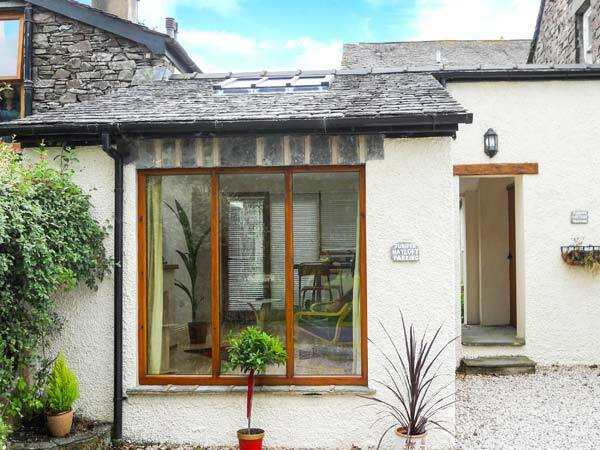 Juniper Hayloft is a delightful, semi-detached cottage a short walk from the village of Grasmere in the Easedale Valley. 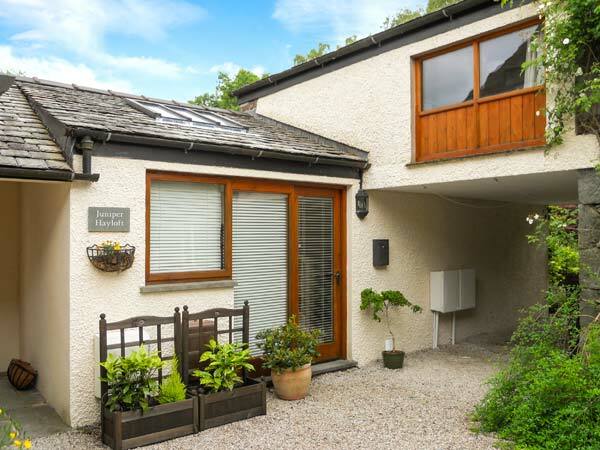 The cottage has one double bedroom accessed via a galleried staircase and a ground floor shower room. There is an open-plan living area, which features a well-equipped kitchen with a breakfast bar, a dining area and a sitting area with a picture window. Outside, there is a courtyard area and off road parking for one car. Juniper Hayloft is the perfect romantic retreat for couples wishing for a break exploring the Lake District. Mostly ground floor. One first floor bedroom: 1 x double via galleried staircase. Shower room with shower, basin and WC. Open-plan living area with kitchen, dining area and sitting area. External utility. Gas central heating. Electric oven, gas hob, microwave, fridge/freezer, washing machine in utility, TV with Freeview, DVD. Fuel and power inc. in rent. Bed linen and towels inc. in rent. Off road parking for one car. Front courtyard. One well-behaved dog welcome. Sorry, no smoking. Shop and pub 5 mins walk.